Photogelatine Engraving Co (Publisher) . 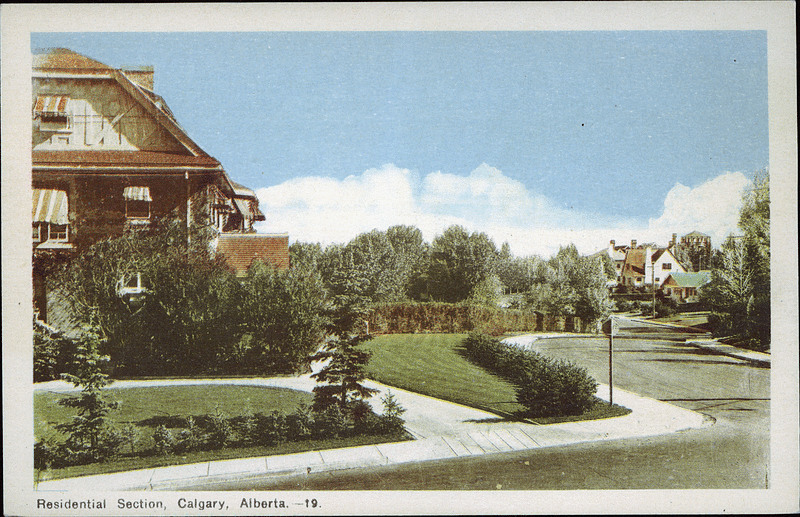 Residential section, Calgary, Alberta.. Toronto: Photogelatine Engraving Co. Limited, Toronto, [between 1920 - 1940]. Description: View of a residential street with houses and trees. Physical description: 1 postcard : col. ; 9 x 14 cm. PC005797: "Residential section, Calgary, Alberta." is licensed by University of Alberta Libraries under the Attribution - Non-Commercial - Creative Commons license. Permissions beyond the scope of this license may be available at http://peel.library.ualberta.ca/permissions/postcards.html.